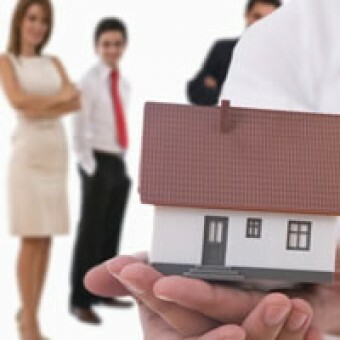 Home » Articles » Category: "Property"
Buying property - sound investment or money in the water? To buy or to rent? That is the eternal question facing those who finally fly the nest to stand on their own feet. Buying a property is out of the question for many young people who leave their parents’ home for the first time to live on their own. Renting is often all they can afford. However, the buy/rent dilemma is increasingly becoming a factor amongst older, more established adults as well. Owning a property is a huge financial commitment and one not many people can afford. As always, researching the options and weighing up the pro’s and con’s of both are the only way to make a decision that is right for you. Having a sense of ownership: Owning your own home undoubtedly creates a sense of pride. Having a place of your own gives you and your family a sense of stability and security. Plus you can make it your own and create a space where you feel comfortable and happy. It offers a secure income stream and capital growth: If you buy-to-let, your property could earn you a nice little nest egg. Just remember to do your homework with regard to demand for rental property in the area in which you are thinking of buying. The value of your property may increase with the investment: Spending money on renovations and making the property the best it can be will increase its value, allowing you to make a profit on the initial investment. It is a long-term financial commitment: Once you own a home, be prepared for the financial commitment it entails. These may include property taxes, water and electricity, walls, doors or frames that need repainting, things breaking and needing to be replaced and a garden that needs tending to. Mortgage payments are usually much higher than rent payments: Owning will always be more expensive than renting. The value of your house may not increase: The property market is very volatile and you might not make a profit on your investment, unless you are willing to wait until the market improves. Limited responsibility: Usually when you rent, your landlord is responsible for taxes, insurance and maintenance. That means less money spent on replacing or fixing utilities, unblocking drains, etc. It is a cheaper option: Rent payments are usually much lower than mortgage payments. Renting allows for much more flexibility than buying: Contracts are usually signed for one year. If your job requires you to move around a lot, this could be an option better suited to your circumstances. You do not control your housing destiny: Once a landlord decides to sell a property, you will have to move out and find a new home. A landlord may also raise the rent at the end of a lease, making it too expensive to remain in the same property. You do not have the flexibility to create the home you want: Renters are very rarely allowed to make structural changes to a property, or even just paint a room a particular colour. You are not building equity: Your monthly rental payment is not an investment in your future and by the end of the rental period, you will have nothing to show for months and months of payments. Every person has different circumstances, different needs and a different financial situation. You are the only one who can decides whether it is best to buy or to rent a property. Babyproof your home to help keep your baby safe. Accidents do happen, but there are a lot you can do to try and minimize these accidents. If you have stairs, babyproof it by installing a safety gate at the top and bottom. Parents often think installing at just one end is good enough. Keep electrical appliances unplugged or at least out of reach when you are done using them. It not only creates an electrical hazard, but can also fall on your baby if they pull on the cord. Speaking of cords, tie up long electrical cords. This will keep it out of their way when they go on a crawl expedition and prevent them from tripping over them or pulling on them. Babies love placing things in their mouth’s as this is the way they get familiar with the world around them. Babyproof tip is to always check the floor or low places for any small objects a child can get hold of and swallow. Not only will it be a choking hazard but items may have germs and potential viruses. Another thing babies love is sticking their fingers into holes and electrical sockets may look like fun. Install babyproof covers on all your electrical outlets to prevent any harm coming to your bundle of curious joy. Your baby can’t read and a big warning sign on a bottle does not mean anything to them. Keep cleaning supplies or poisonous liquids in a high cupboard and locked away. This also holds true for medicines. Because it’s a medicine or vitamin does not mean it won’t harm your baby. Recommended doses for babies are much lower than for children or adults. So swallowing too much of a medicine can harm your baby. Buy babyproof locks for any cabinets containing potential dangerous objects. This includes cabinets for glassware, cookware, silverware etc. When working with a stove, use the back burners when possible and always turn your pot handles inward. When they get adventurous they will stand up against anything and a hot stove is not a good idea, so always know where your baby is and guide him/her away from the stove. A swimming pool poses an obvious threat, but water indoors can also be dangerous. Never leave water standing in a bath, sink or bucket. A baby can drown in just a small amount of water. Never leave your baby unattended in a bath or basin, even for a second. If for any reason your baby gets access to a hot water tap, prevent possible scolding by turning down the heat on your geyser. Babyproof your home and take some of the anxiety out of parenting.